¤ Please pay the amount of the inscriptions at the time of the sending of the bulletins. ¤ The exhibitor who,for an exceptional reason would not have paid, will see his inscription increased by 20 € by dog. 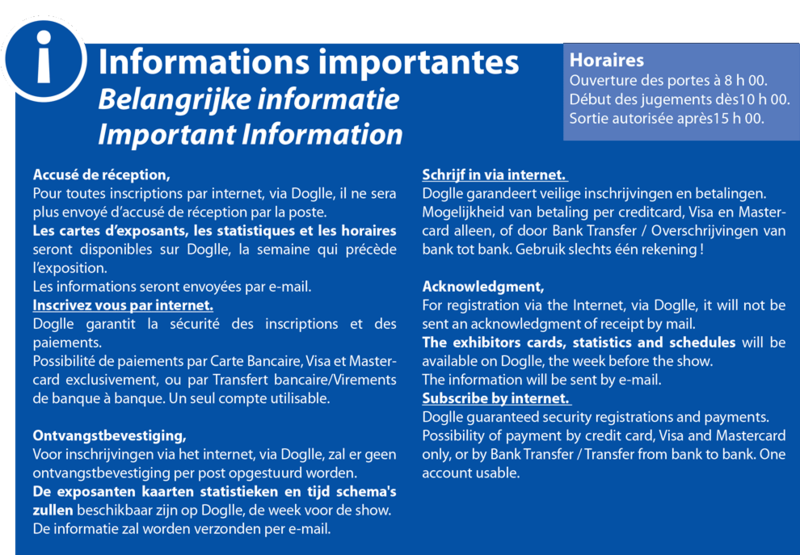 ¤ Please indicate to the back of the payment the name of the dogs and the race.